When can you use it ? Every months or just sometimes, menstruation may be painful and become a handicap. To alleviate women, a company created Livia, a solution for painful menstruation. 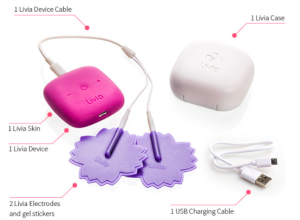 Livia is composed of two electrodes “Flower Pads” and one box. It works by electrosimulation. Both electrodes are placed on the belly or on the lower back. Electrostimulation is a technique which stop the transmission of pain to the brain. Pulsations are sent through the body. You can choose the intensity of pulsations if you press the bottons + or -. The battery life is 15 hours. Who can used it ? It’s an innovation for all ages, if you’re a woman. However, there are contraindications like people with a pacemaker, a electronic implant or subjects with heart disorders. Clinical trials are prohibited for pregnant and breastfeeding women and children under 16 years old. Consequently, it is forbidden for them. People are tired of taking pills for everything and the impact of drugs may have adverse effects on health. In addition, some women may become resistant to the drugs for pain. 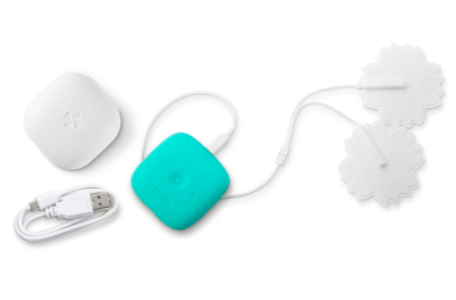 With Livia, you don’t take pills. . It’s easy to use, and the device has a long life battery, enough for a day. The most important limitation is when you want move. The device cable is short and the summer it’s hard to hide the device. Where can you buy Livia ? Livia is available in France and Belgium in electronic stores and in pharmacies and parapharmacies. les produits The price is 159,99€. Read the notice before use !